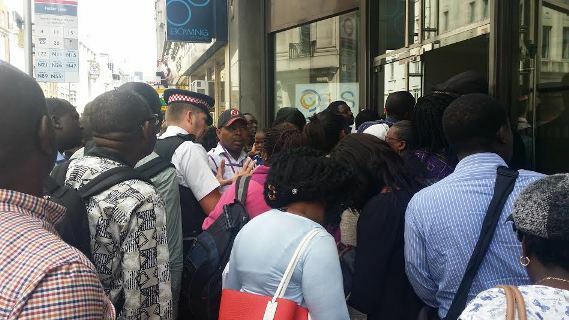 Nigerians in nasty Fight over doing Dirty Jobs abroad and sending money home! These fight between some Nigerian women and a particular woman who abused and blasted Nigerians in diaspora of doing dirty jobs like washing toilets and gutters in places like London,yet complain when they send money back home, is the latest of online entertainment we have received recently.Ever since the Abike and Jibike fight online,More people have been trying to become viral stars with audio recordings.I have lost count of the amount of recordings i have come across. each other.It really is sickening to the ear. The genesis of this latest viral audio is ridiculous when you really look at it.What business is it of anybody's what job they do to get their money?As long as it is legal,it is all fair and well.Nobody has the right to look down on another person just because you feel the job they do is beneath you.It's not as if they come beg you for money is it? But this particular lady who abused Nigerians in diaspora got her's back in full...Check out the audios.